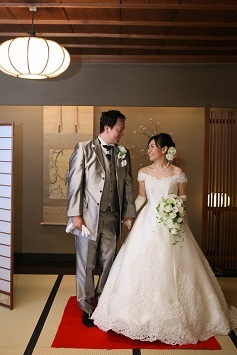 The couple whom we had organized the wedding ceremony at the Yoshida Shrine and the wedding reception at the Ryotei Doi in December last year, came at the LST salon. I was glad to hearing from them after their wedding, learning about their honeymoon and that they had moved into a new house. 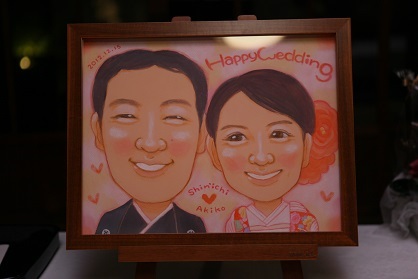 They brought to us a lot of sweets and souvenirs from their honeymoon. 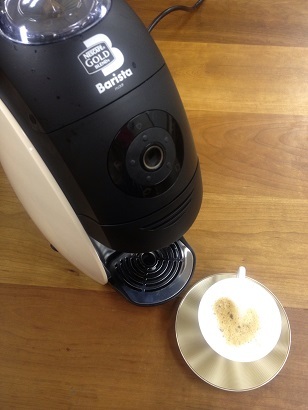 We received a well-known coffee maker, called “varistor”, which often appears in TV CM. To my surprise, the groom was involved in the company developing this product . This coffee maker makes it possible to create espresso to milk coffee by the touch of one single button. Thanks to this machine we can enjoy various type of coffee. Moreover, each time I taste this coffee , it reminds me of the day we had worked for their wedding and how beautiful it had been.